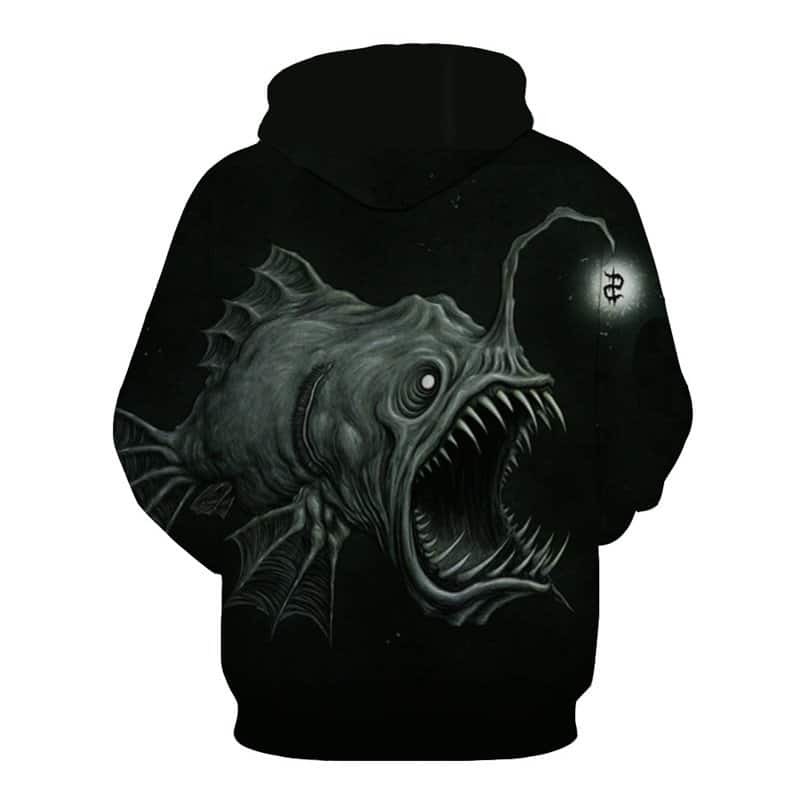 If you are interested in fishing, you will undoubtedly like this baited fishing hoodie. 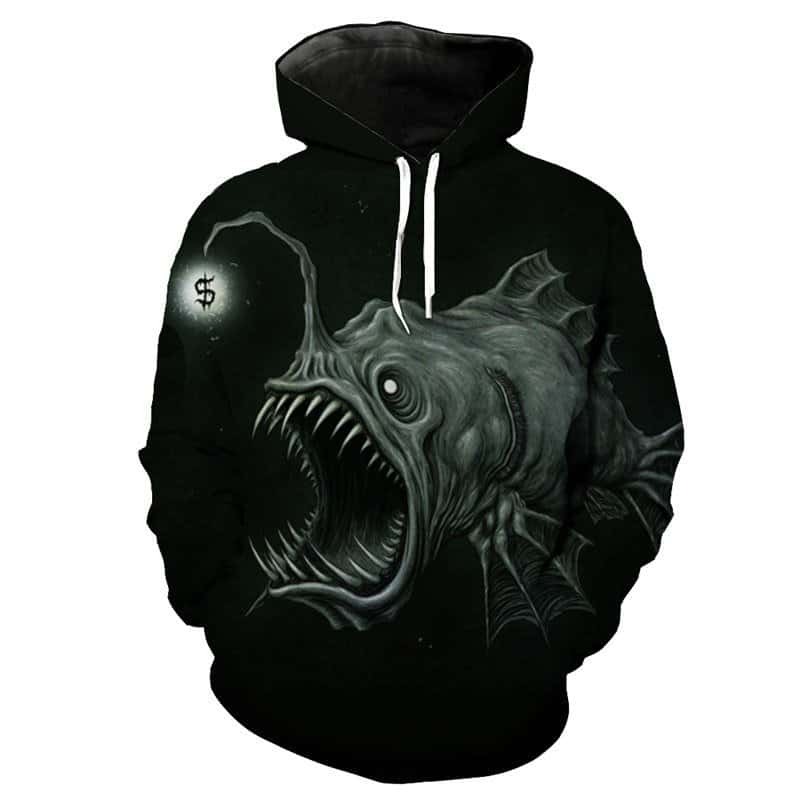 This hoodie is the scariest in our fishing hoodie range. It features a prehistoric fish with large and sharp teeth. The grey of the fish and the black of the hoodie complements each other well. A Little disappointed with the quality of printing. The feeling that took the picture is small in size and strongly it increased. The rest sweatshirt super. Suitable for warm autumn. Thank You Very Much.